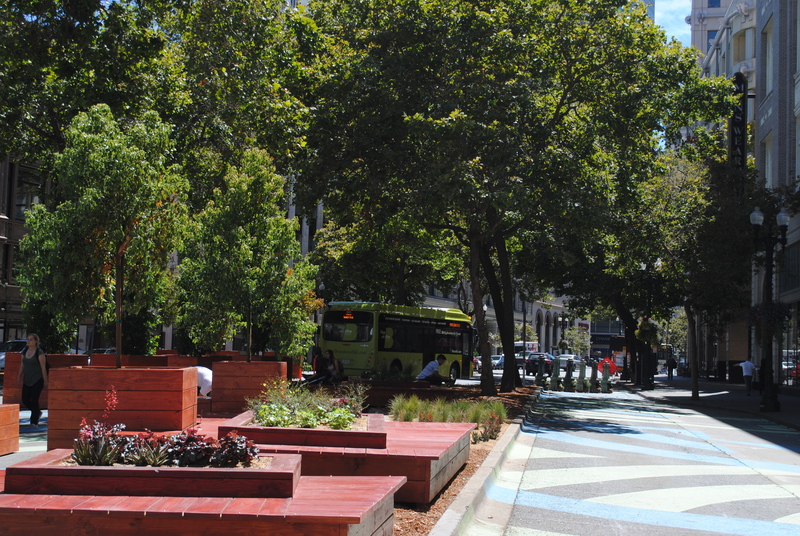 Oakland’s Latham Square pavement to parks project has opened to the public and on the first day of official use people quickly populated the space. Following the grand opening ceremony Noon on Friday August 16th it was a sunny Friday afternoon and people sat reading, texting, drinking coffee, sketching as if the park had afforded opportunity for such activities for years. 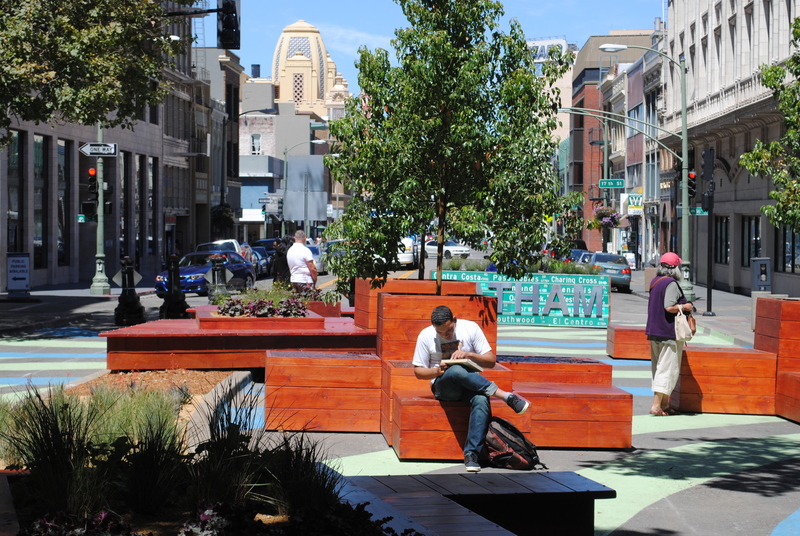 It was a pleasure to see former auto traffic lanes and a nondescript median serve as an urban gathering place with such beauty and class. 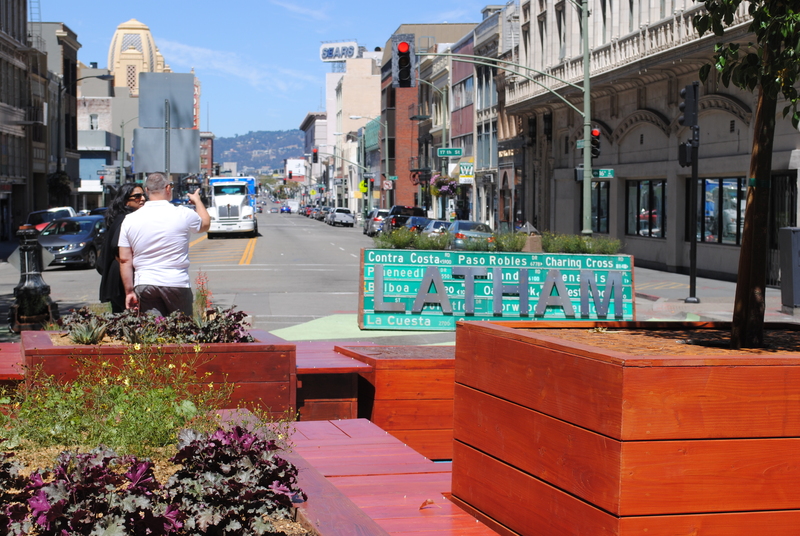 Thanks to Rebar and the City of Oakland for including Ian Moore Design in this project. Ian Moore Design provided the landscape installation for this project. We refined the original planting design developed by Rebar, served as purchasing agent for all landscape materials, and oversaw all planting. I’ll share some more images and thoughts as I collect them. I’m excited to observe future programmed events including music and food at the site. I am, of course, equally interested to see how the planters, plants, ground treatments mature and weather the variety of uses. 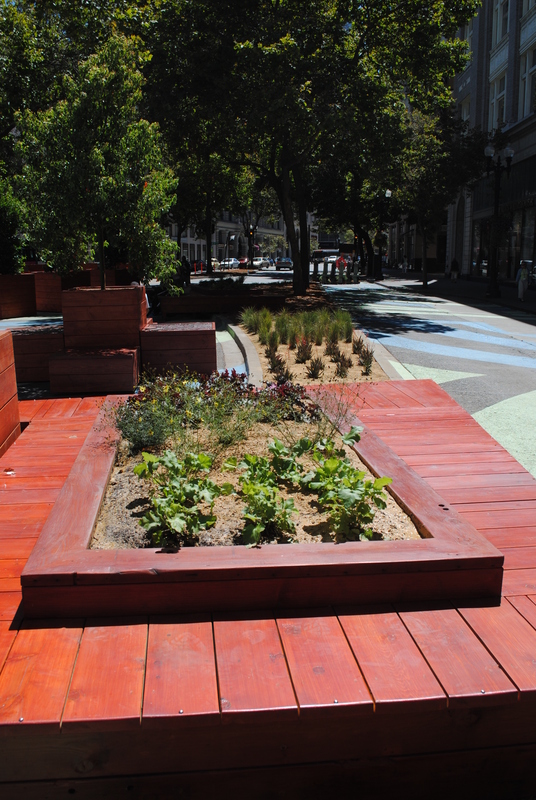 This entry was posted in Landscape Construction, Pavement to Parks, Public Space Planting and tagged landscape installation, landscape materials, planting design, programmed events on August 18, 2013 by isimonmoore.